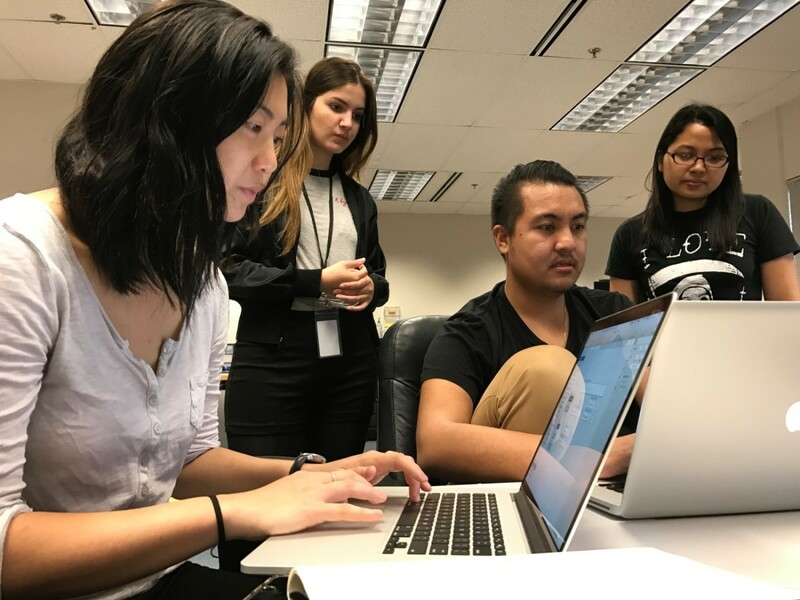 Students of Cohort 14 and 15 collaborate on a project together in office of Sudokrew, a Hawaii-based software engineering company at the Manoa Innovation Center. Honolulu, HI. A hackathon is any event of any duration where people come together to solve problems. Participants typically form groups of about 2-5 individuals, take out their laptops (if the event is technology themed), and dive into problems. 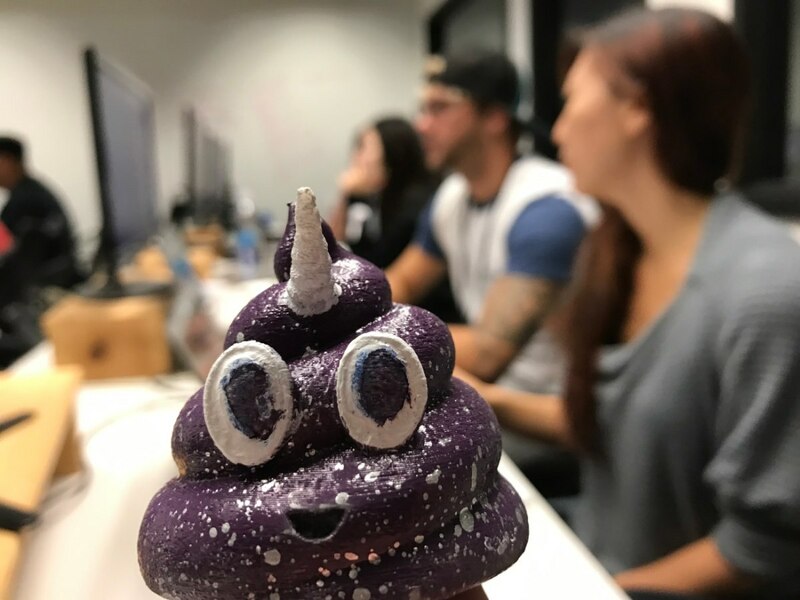 The Stupid Hackathon was started in New York City and has since spread all around the world, with events being hosted in London, Berlin, Austria, and San Francisco. The Stupid Hackathon shares a portion of its DNA with the more common, often corporate-sponsored variety hackathon. 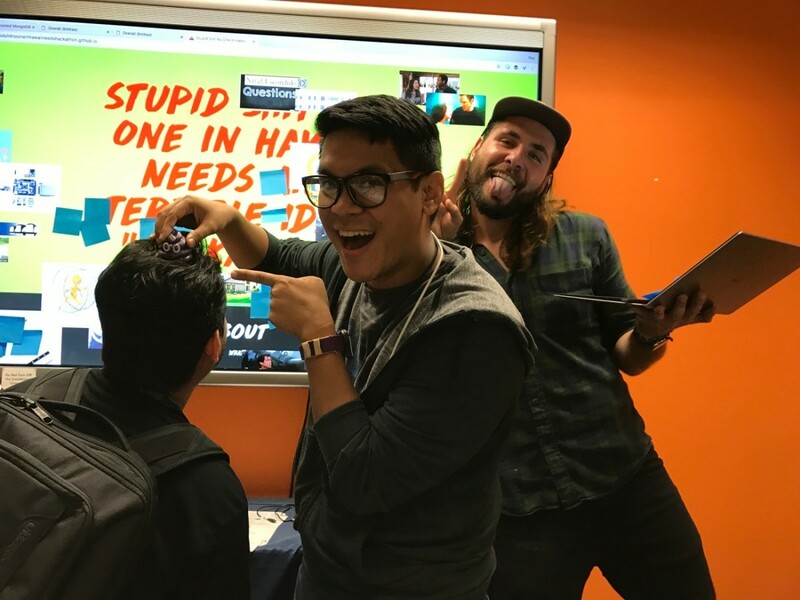 Participants register ahead of time with an idea for a project and show up on event day to spend several hours in each other's company, working diligently to duct tape their ideas together—figuratively and literally—before the event closes with presentations and awards. The idea for the hackathon was born out of the idea that tech - specifically corporate tech - can solve any problem with a weekend of hacking. Climate Change - give me four hackers and 48 hours and I can solve that for you. Homelessness - No problem, we'll start a hackathon and solve that in a jiffy. The Stupid Hackathon is defined solely around its lack of purpose. Each participant at the hackathon makes something that nobody asked for. This can be kind of hard to explain, I find that it's easier to look at what people made for our hackathon. A browser extension that sends out text relaying all of the sites you visit while in "Incognito Mode"
Nearly every project the hackathon carefully straddles the line between being totally stupid and kind of genius. Participants of the Stupid Hackathon drank coffee and pizza and worked together in groups scattered around the building. Jamming on code, crafting 3D models, and playing with cutting edge AR technology. One participant brought a whole woodworking studio to the event in order to create a gigantic wooden cube to discreetly fidget with. For the final presentations, the teams presented at a rapid-fire pace. With only one minute to present, they had just enough time to tell a joke and demo their stupid projects. The presentation room was packed, and as each group presented their projects, the audience laughed and cheered on as each group demoed their work for the group. At the end of the day, we have created nothing at all, but at least we all had a great time creating nothing. I hope that that's something. The event was hosted By DevLeague and generously sponsored by Sudokrew, Goma Games, GitHub, Front End Masters, and HTDC.